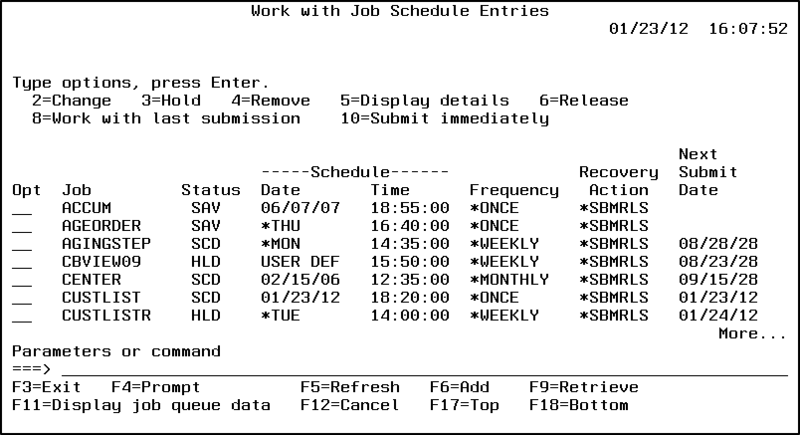 With the Work with Job Schedule Entries screen you can display, delete and modify a job’s settings. Scroll through the list to locate the job you would like to work with. 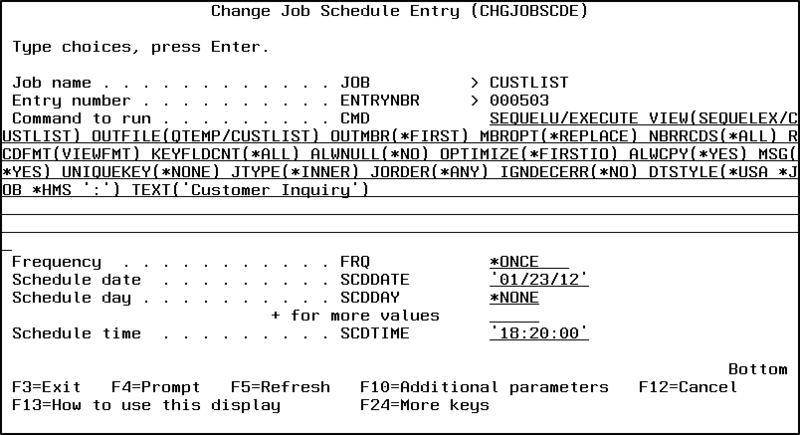 For jobs scheduled through Robot/SCHEDULE, use SCHEDULE to modify.